Children sometimes struggle to understand and cope with their emotions, especially the “big” ones like anger and sadness. Talking about our feelings helps us process them, and this book gives readers a tender and comforting way to work through sadness. Excellent anchor book for lessons about feelings. This book is laugh out loud hilarious! 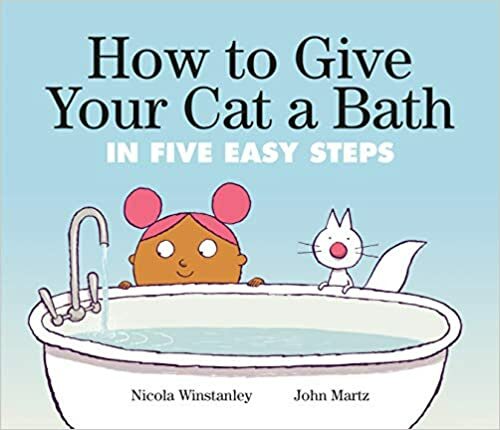 Take a little girl, her cat (who does not want a bath), and an empty bathtub. Add a multitude of silly shenanigans and very funny pictures and you have a MUST read aloud book for your class. Perfect anchor book for instructional “How To” writing. LOVE! “My heart is a window. My heart is a slide. My heart can be closed…or opened up wide.” Listening to, following, and caring for our hearts is the theme in this gorgeous book. Meta-cognition of our hearts (if there is such a thing! ), this book helps readers to see that our hearts (and our emotions) are always changing – can be open, closed, full, empty. Gorgeous metaphors for the heart written with lovely rhyming text and beautiful grey and yellow illustrations (look for all the hearts hidden in the pictures) A lovely book for the both younger and older students (great for inferring!) and would be a wonderful book to share around Valentine’s Day. Empowering and hopeful. Spoiler Alert – There ARE bears in this bakery! Despite Muffin the Cat’s watchful eye, one small hungry bear does get into the bakery. But Muffin has donuts. Which, as we all know, bears like an awful lot. So much to like about this book – bright, colorful illustrations and great word choice. This book would also make a great anchor for teaching similes, point of view, and the five senses. Oh, this book. This book. Kleenex required. (extra if you are a dog lover) Evan the fox is an avid gardener and he and his dog have created an extraordinary garden and take great joy in nurturing it. However, when Evan loses his best friend, the grief is almost unbearable. Evan transforms his beautiful garden into “The saddest and most desolate spot he could make it.” Such a beautiful story of love and friendship and loss and grief and hope. Gorgeous art. A roller coaster of emotions. And did I mention Kleenex? Birthdays are important days to celebrate. But before you do, you should make sure you’re following the ten important rules of your big day. Rule #1? Make sure it actually is your birthday. A joyful celebration of every child’s favorite day! Adorable illustrations. Great anchor for growth mindset, creativity and getting along, despite your differences. A fussy eraser tries to keep the pages clean, while a mischievous pencil keeps trying to scribble up the pages. The two opposing forces finally come together and learn that they can have fun together, despite their differences. Great illustrations – I kept trying to sweep away the pencil shavings! This book totally surprised me in many ways! First of all, it’s longer than an average picture book – 80 pages. Second, I thought it was about an elephant who loves pasta – WRONG! It’s actually a story about injustice, civil rights, and peaceful protests. But it’s also wacky, fun, and filled with great word play and delightful illustrations! 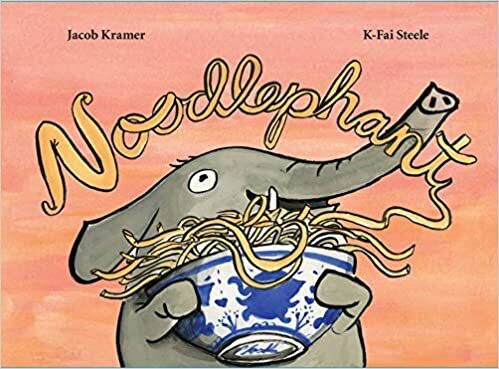 Noodlephant lives in an animal community where the Kangaroos in charge save special privileges for themselves and make unfair rules that impact the other animals. Noodlephant and friends come together to protest these unfair rules, and work together to help make the community a place where every animal is treated kindly. SUCH a great book to introduce younger readers to standing up for your rights and working together for change. Lots to like about this one. It seems silly to say that this is my favorite Middle Grade novel of 2019 – since it’s the only one I have read! But my, oh my. This book. Wow. I loved it so, so much. Could not put it down. Cried and cried. It’s a compelling, heart-breaking story of Coyote, a 12 year old girl, and her dad, Rodeo, who set off in a re-furbished school bus after a tragic traffic accident kills her mother and her two sisters. Along their journey, they gather an incredible cast of characters, all of whom, like Coyote and her dad, are lost in some way or another. Amazing characters, gorgeous writing – this is a remarkable story of loss and love and grief and so much more. PLEASE read and share with your middle grade students. Thanks for stopping by! Hope one or two books caught your eye!